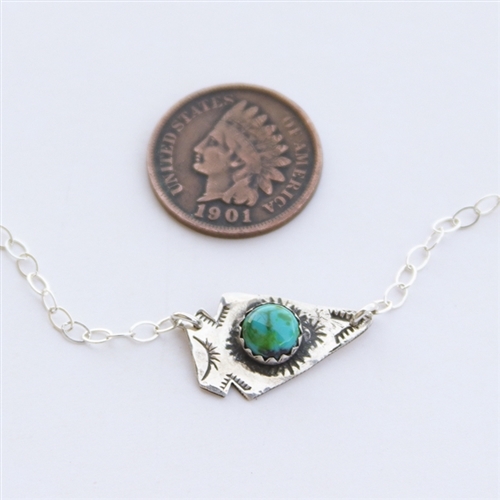 These cute and trendy arrowhead necklaces are hand-cut and made to order. 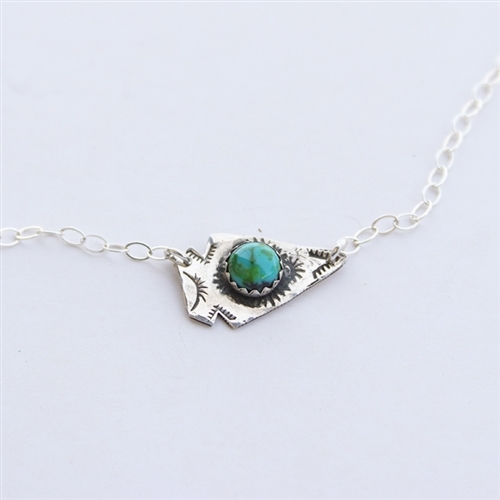 They feature a unique piece of turquoise. Because no two pieces of turquoise are the same, shade and matrix will vary. Because they are handmade, exact size and stamping will vary, but the overall design will be the same. The arrowhead measures approximately 3/4" wide by 1/2" tall.